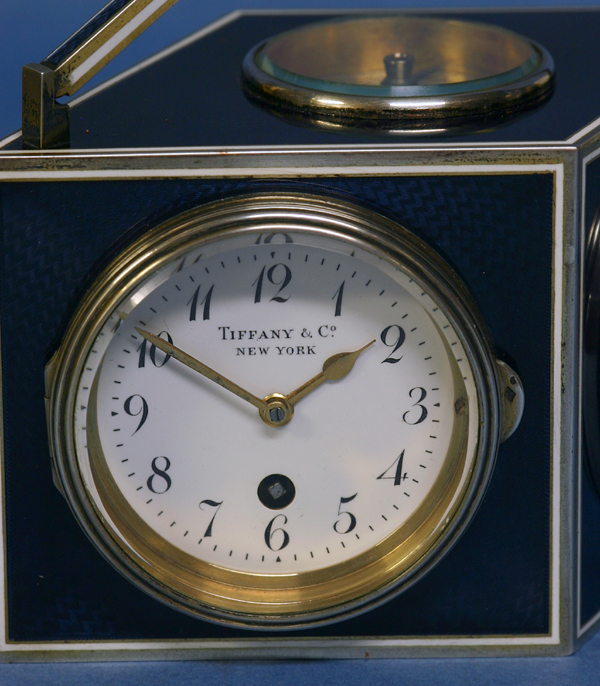 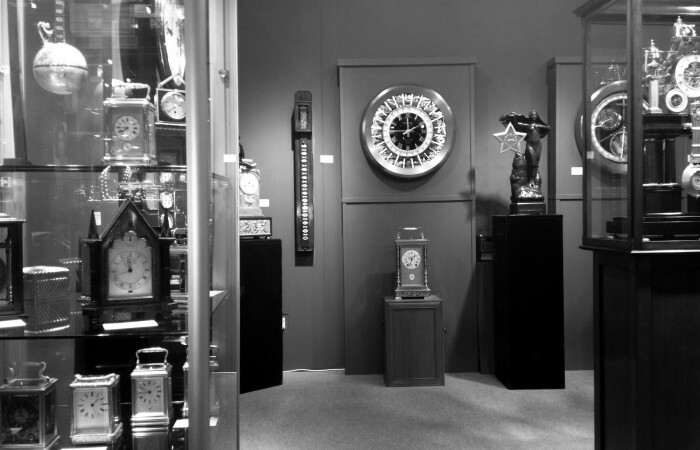 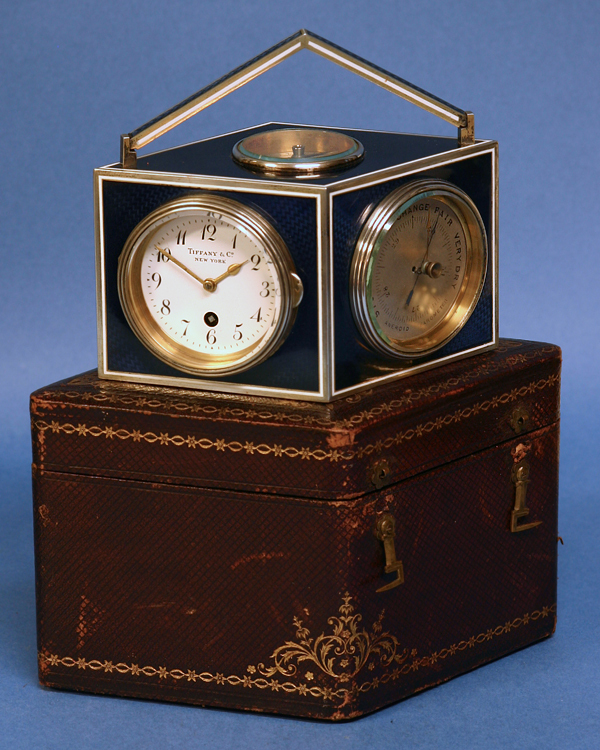 The white porcelain time dial has Arabic numbers for the hours, gilt spade hands and is signed ‘TIFFANY & CO, NEW YORK’. 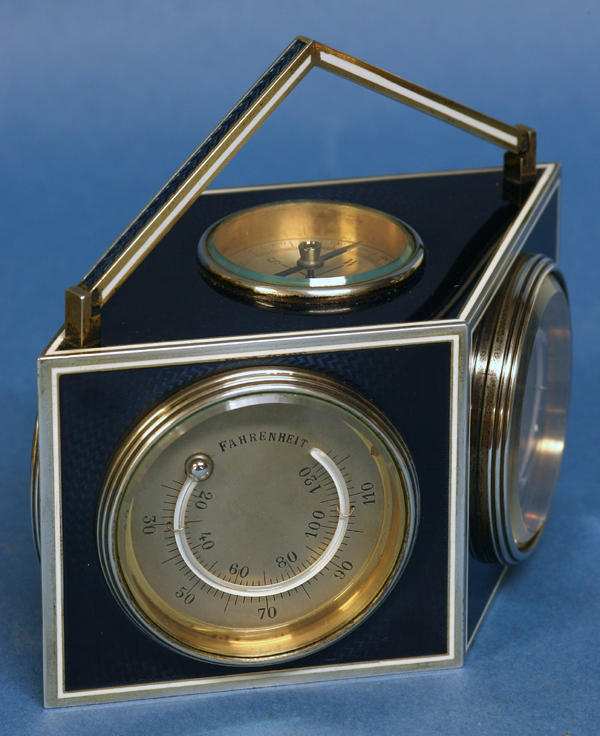 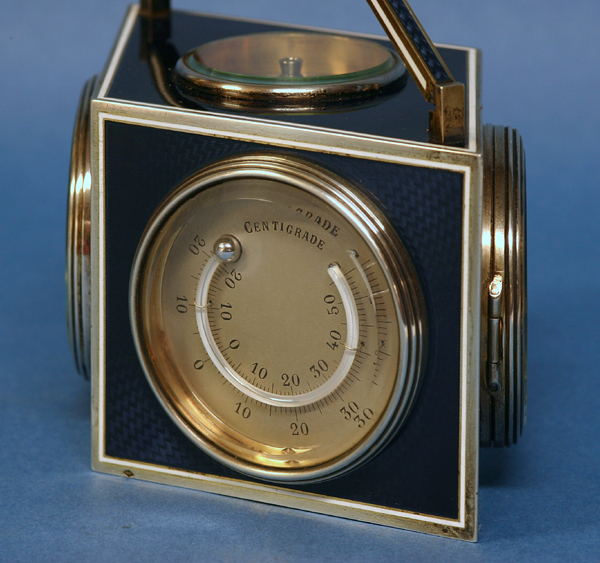 The two silvered engraved thermometer scales are in English, are for Fahrenheit and Centigrade, have beveled glasses and mercurial tubes. 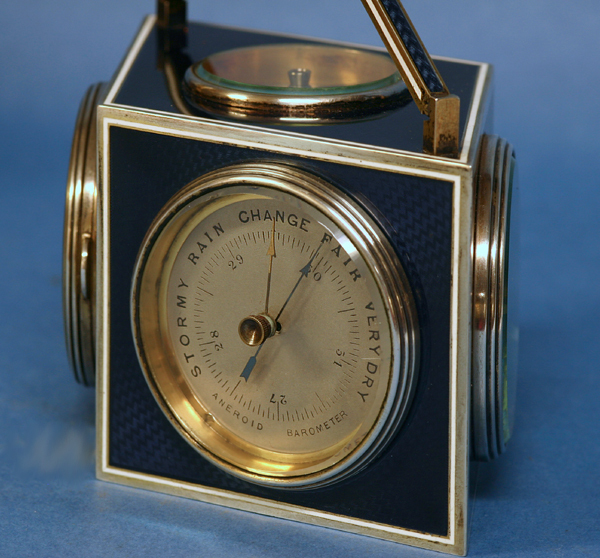 The silver engraved barometric scale is from 27-31, has the normal weather indications, two indicator hands and a beveled glass. 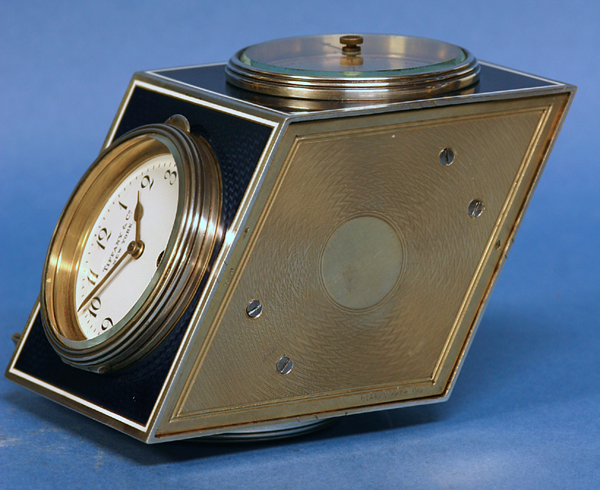 Sunken into the top is the compass with a silver engraved scale and beveled glass.